A MAN in his 40s has been arrested after two cars and the outside of an apartment complex were set on fire in north Dublin earlier today. Gardai received reports that a man had set fire to the outside of an apartment complex in the Newtown Court area of Coolock, Dublin 17 shortly after 12.30pm. 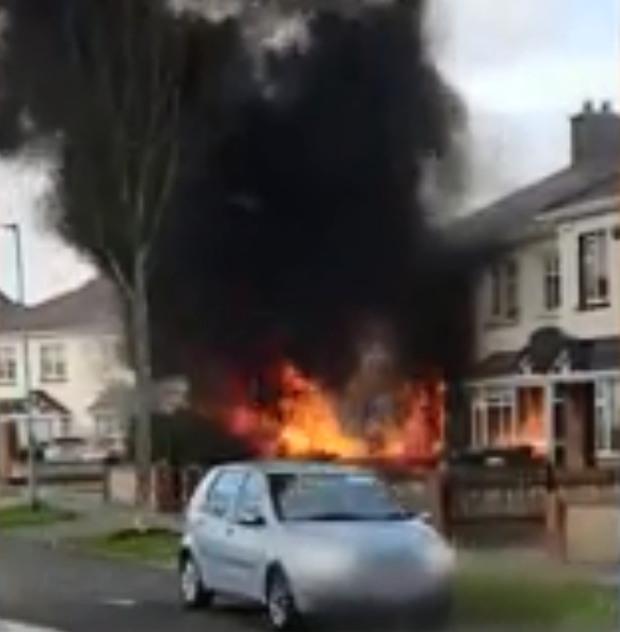 Twenty minutes later, gardai arrested a man after two cars were set alight in the Templeview Green area of Clarehall in Dublin 13. Video footage that emerged on social media showed the cars emerged in flames with clouds of black smoke. The videos also appears to show two men near the scene holding large knives. A garda spokesperson said that the man is currently detained in Coolock Garda Station under Section 4 of the Criminal Justice Act.